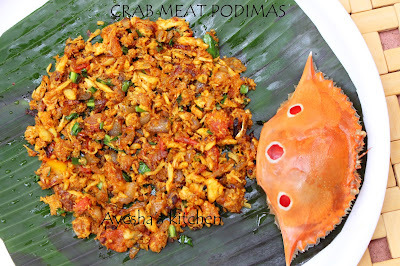 Crab meat podimas / burjji is an interesting and delicious recipe with crab meat. 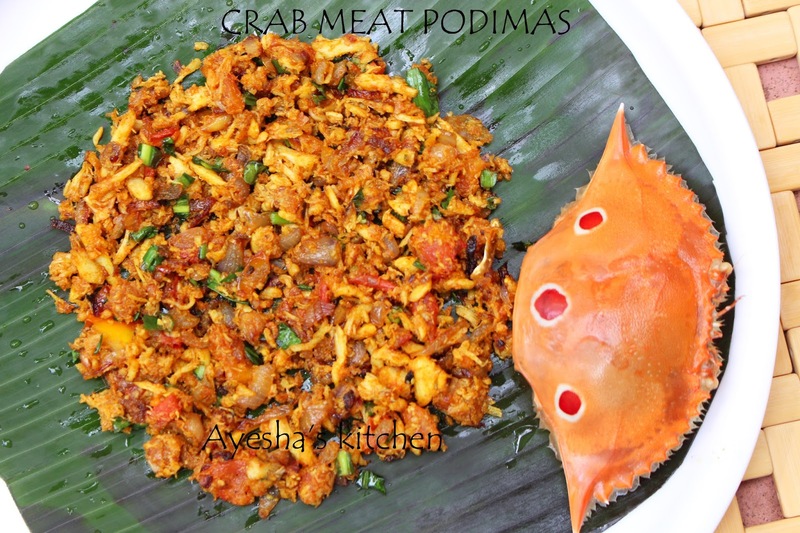 This recipe is very simple but may find little hard time for breaking the crab shells and separating its meat alone, yet it is interesting as it tastes good and is a nice combo with dosa.. This same recipe is used to prepare fish burjji / Meen podimas. 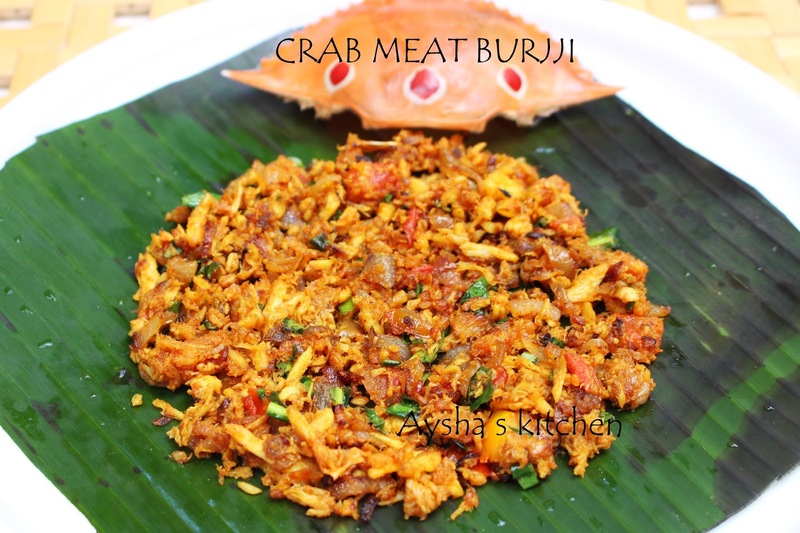 Here is the recipe of crab meat stir fried . You can also check the combination of egg with crab meat, that too tastes yumm. Do try and enjoy cooking..!!! Boil crab with enough water along with salt and when done, allow it to cool. Drain the water and remove the shell, take out its meat/ flesh alone, clean carefully , set aside. In a pan, heat 1 tbsp of oil and stir fry this crab meat with turmeric powder and coriander powder for 3 minutes. Set aside. Now heat a wok with some oil and splutter mustard seeds. Add chopped onion and saute until soft. When done, add green chilly along with ginger garlic chopped and saute well. Now add tomato and cook well. To this, add the stir fried crab meat and mix well. Then add chili powder along with salt. Stir well and cook for 5 minutes in a medium flame. Garnish with coriander leaves. You can also add egg and scramble it along with crab meat. I prefer crab meat alone. Serve hot with dosa. Enjoy.